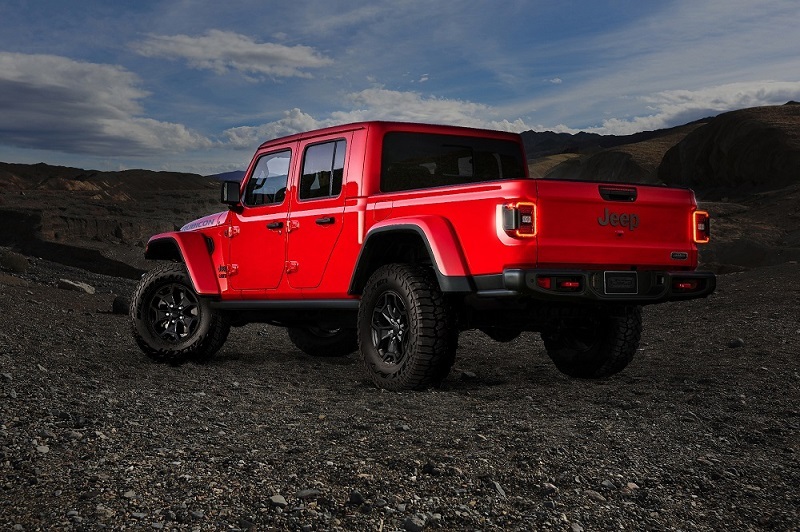 Jeep has announced that the all-new 2020 Jeep Gladiator – arriving in showrooms soon – will be offered in a limited run Launch Edition model with a bonus. To get a Launch Edition, a hopeful buyer must preorder online – one day only – on Jeep 4x4 Day, April 4. 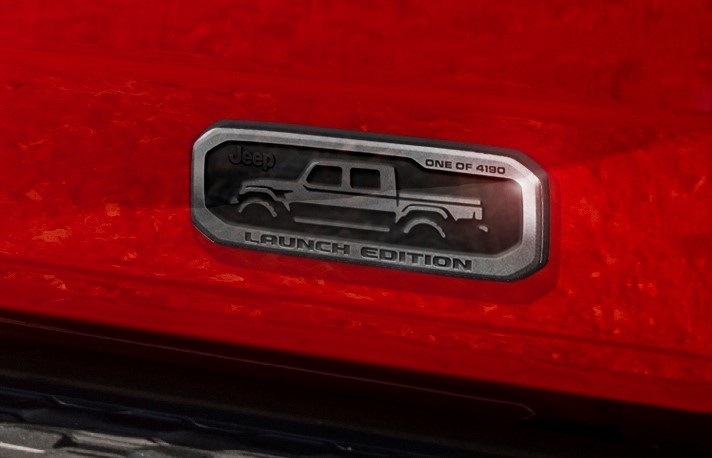 Only 4,190 of the 2020 Jeep Gladiator Launch Editions will be available to preorder that day. Given the serious anticipation of the arrival of the all-new Gladiator, these will be snapped up fast. You will need to be quick and determined to score one of these coveted Gladiators. The preorder process, including selecting a Jeep Gladiator Launch Edition, estimating a trade-in and connecting with dealer, can be completed online through the dedicated Jeep Gladiator Concierge. Each Jeep Gladiator Launch Edition will come with unique wheels and interior accents, as well as a “One of 4,190” forged aluminum tailgate badge. The number is a tribute to Toledo, Ohio, and its 419-area code where both Gladiator and the Jeep Wrangler are proudly assembled. When you order your Jeep Gladiator Launch Edition model, you will be exclusively eligible to enter the “Find Your Freedom” contest, where they will have the opportunity to win what Gladiator offers: Jeep Freedom. Jeep Freedom in the form of one-year’s salary of $100,000, to enable an all-new Jeep Gladiator owner winner to take the time off to enjoy the Jeep lifestyle of pursuing any outdoor adventure. 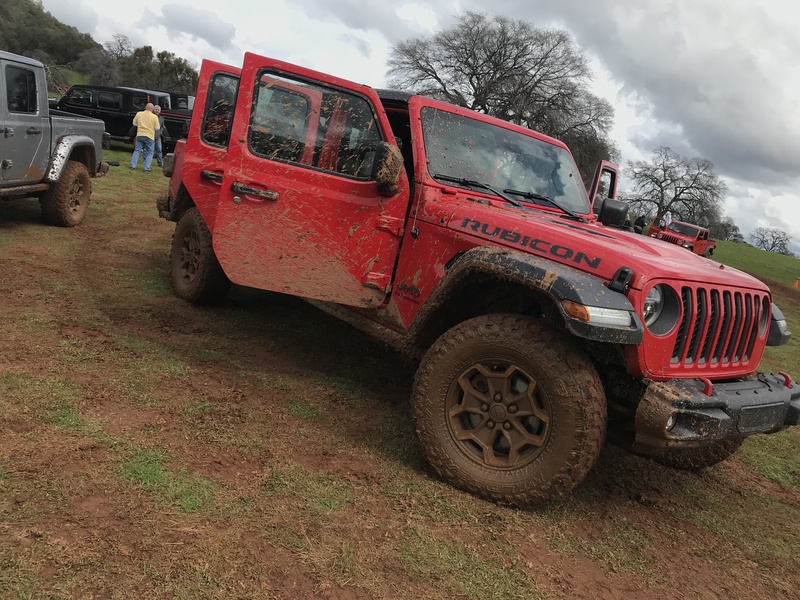 To enter, a buyer will need to submit a personal “Gladiator” video to be judged by the Jeep brand along with wounded warrior and U.S. Army veteran Noah Galloway, who will choose the winner. Learn more about the bonus “Find Your Freedom” contest and how to enter by watching featuring Galloway in this video: https://www.youtube.com/watch?v=n-782QnBnvM&feature=youtu.be. Jeep enthusiasts will have the chance to reserve their Jeep Gladiator Launch Edition through an entirely unique online retailing experience, says Jeep. They will be able to go to www.Jeep.com when orders open April 4 to be connected with a Jeep Gladiator concierge. Customers will enter their contact information and be contacted the same day by the Jeep Gladiator Concierge to assist in completing their purchase. The concierge will pair the customer to a dealer of their choosing to submit their deposit, then finalize the sale and ultimately take delivery. Price – you ask. The Gladiator Launch Edition is a top-of-the-line Rubicon before adding the ‘Launch’ package features. The MSRP is $60,815 plus delivery of $1,495. Doing the math for you – in your driveway for $62,310. Look at it this way, if you win the “Find the Freedom” prize, your Gladiator Launch Edition will be ‘free’ and you will still have $37,690 to take a really fine road trip with your new Jeep. 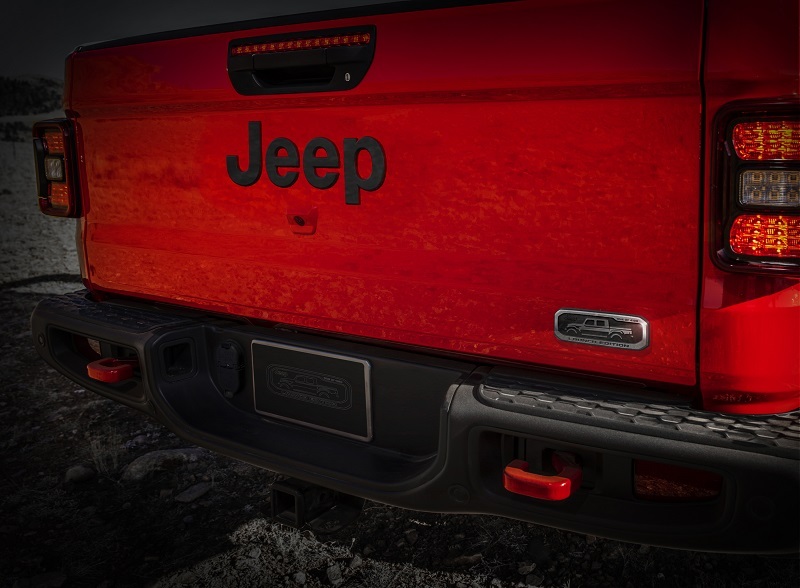 Some of the key elements of the 2020 Jeep Gladiator Lunch Edition are: a unique forged aluminum tailgate badge, 17-inch Mid Gloss Black aluminum wheels, 33-inch Falken Wildpeak All-Terrain tires, a wrapped instrument panel mid-bolster painted in Monaco silver and black leather seats with red accent stitching. The Launch Edition will be available in Black, Bright White, Billet Silver Metallic, Firecracker Red and Granite Crystal Metallic, and feature a body-color hard top and fender flares. Standard features include LED head and taillights, an 8.4-inch touchscreen, a nine-speaker Alpine premium sound system, keyless entry, Forward Facing TrailCam camera, Blind-spot Monitoring, Rear Cross Path detection, ParkSense rear park assist system, Advanced Brake Assist, Full-Speed Forward Collision Warning Plus, Adaptive Cruise Control with Stop, Trail Rail Cargo Management System, spray-in bedliner and Trailer Tow. Gladiator Rubicon models are capable of towing 7,000 lbs. 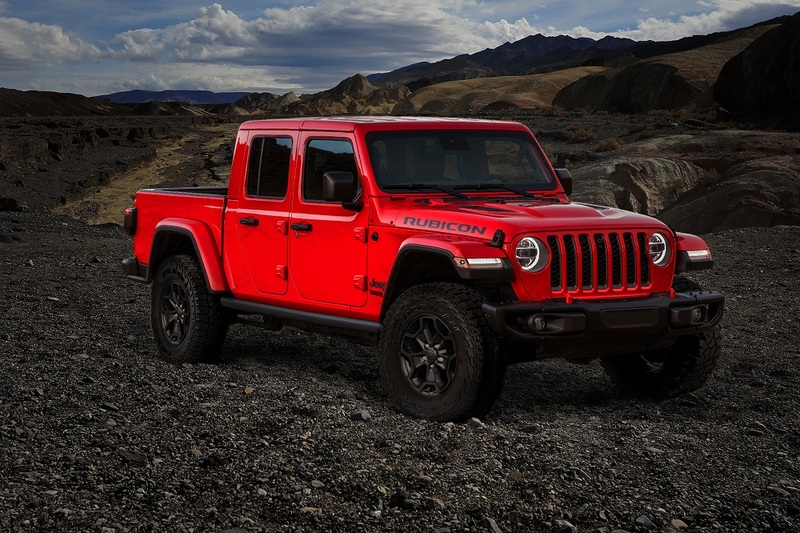 The Jeep Gladiator Launch Edition will be powered by a 3.6-liter Pentastar V-6 engine, rated at 285 horsepower and 260 lb-ft. of torque, and a six-speed manual transmission or an optional eight-speed automatic transmission. 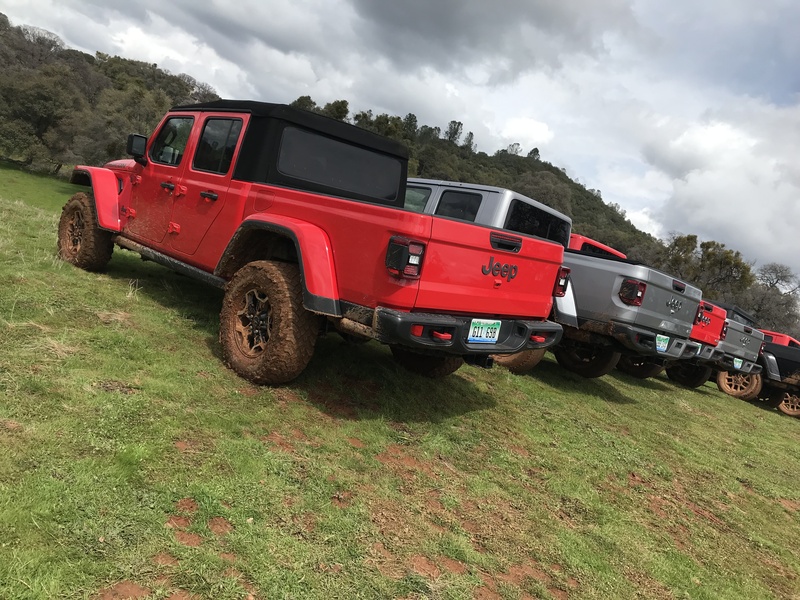 Mark your calendars with a big circle around April 4 and get ready to scramble for your chance at a Launch Edition of the 2020 Jeep Gladiator.